The World Health Organization has stated that Female Genital Mutilation “is a violation of the fundamental human rights of girls and women” that “has no health benefits, inhibits sexual function and can cause several complications including pain, infection and infertility.” But it’s another “Peculiar Institution” that Islam spreads everywhere it travels. Female Genital Mutilation, just like “honor” killings, religious intolerance and rapes, increase in direct proportion to the increase of a nation’s Muslim population. That’s because nobody ever says no to the worst Muslims. Politicians vying for “the Muslim vote” excuse the most hostile Muslims and insist that ONLY the Muslims who live in the distant past are the “authentic voices” of the Muslim world. Patriarchal Muslim families inflicting their superstitions on their female members took to doing “vacation cuttings,” taking trips abroad to have the unfortunate ladies mutilated. Many to the point of severe infection or other complications which prevent them from ever having orgasms. More irrational nonsense from Islam the religion that, for centuries, has retarded the social progress of the rest of the world. Islam showed once again that it leads the world in misogyny and irrationality. Muslim “scholar” Maulana Fazlur Rehman announced that women wearing jeans is such an affront in the eyes of Allah (LMFAO) that those women are to blame for recent earthquakes. Jihad and Shariah Law enthusiast, Muslim preacher Anjem Choudary has called the Oklahoma tornado ” a soldier of Allah” sent to “punish America for oppressing Muslims”. Uh. Yeah. Muslims live better in America than they do in countries run by their fellow Muslims excepting some royal families and clerical leeches like Choudary himself. If you’re one of those Muslim men who get offended when women show their faces you need to join the 21st Century … and seek psychiatric help. It should be no surprise that Islam, the only religion in the 21st century to perpetuate superstitious savagery like killing people for drawing pictures of their faith’s central figure, violently opposes women’s right to vote. In Pakistan, the Muslim Taliban still threatens women who try to vote and communities who try to accomodate women voting by issuing them national ID cards. 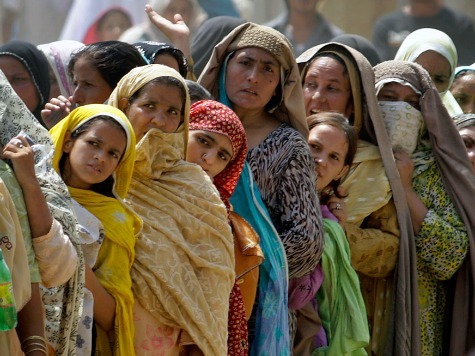 “Women voting is un-Islamic” according to many Muslim religious leaders in Pakistan. A woman voting is considered grounds for divorce in those same backward quarters. 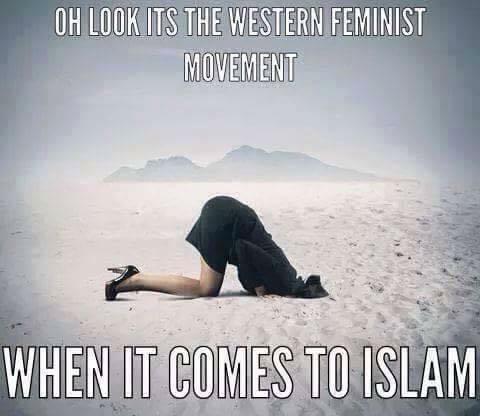 In the Muslim world women are treated as being mentally inferior to men. 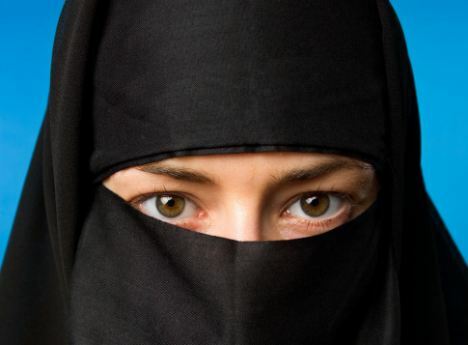 According to the Muslim practice of purdah a woman’s place is in the home and women are not allowed to leave the house without a male relative.